The Dahlia headband, designed by Tonia Barry for our Spring 2012 collection, sports three-dimensional flowers on a garter and stockinette headband in Cotton Bam Boo Print. Having trouble understanding the instructions? Tonia took some photos on-the-fly while she was knitting up her sample. 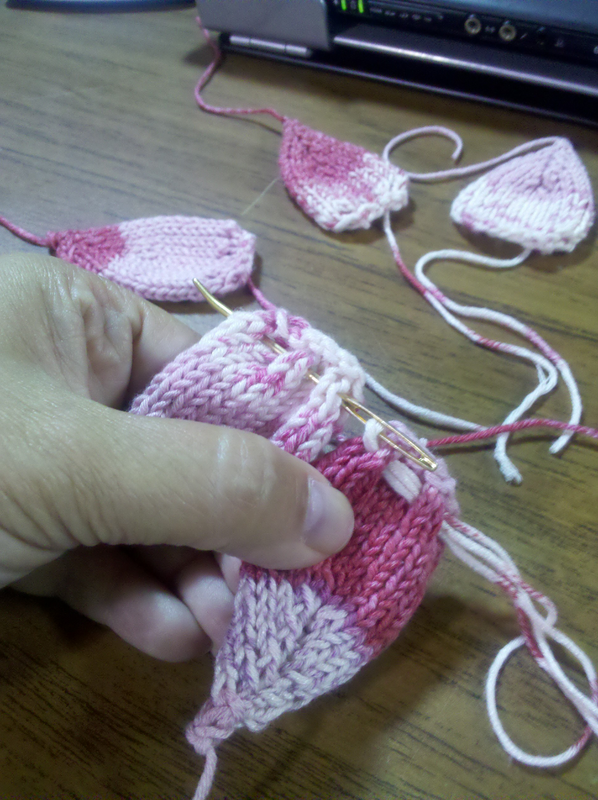 If you would like to knit one yourself, you can purchase the pattern as an instant pdf download here (Ravelry link). 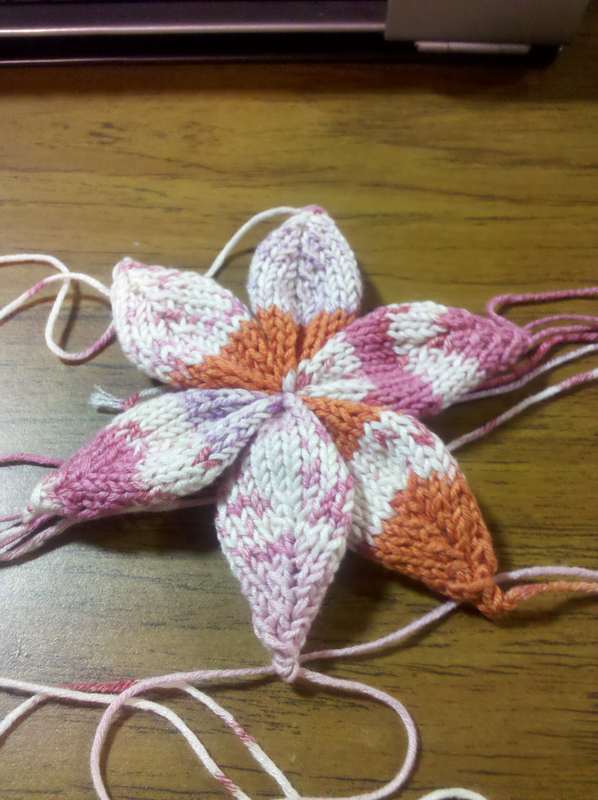 Knit your petals. 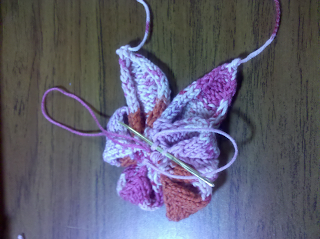 Make 12, 6 for each flower. 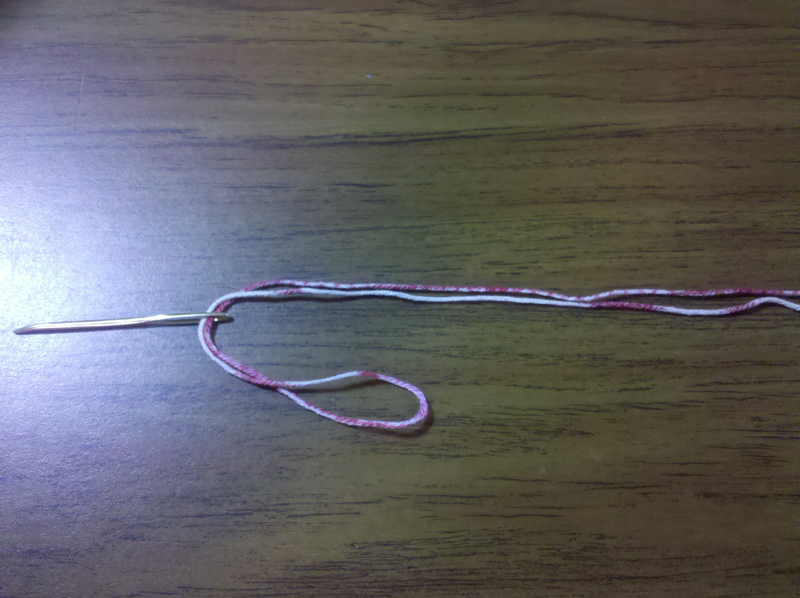 Cut a 24" piece of yarn and fold it in half. 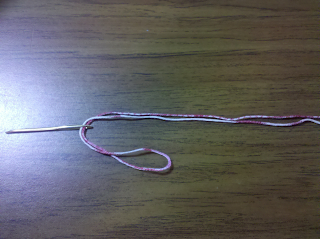 Thread it through a tapestry needle. 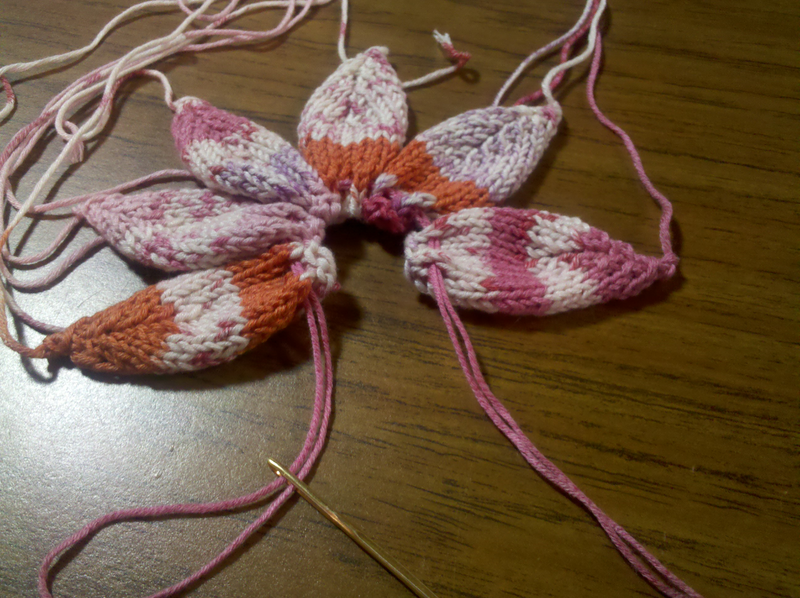 Insert through each of the four eyelets in each of the six petals for the first flower. With WS of the flower facing, pull ends tightly and tie into a square knot. 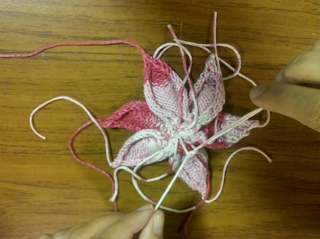 Weave in center ends, leaving two strands to attach flower to headband. 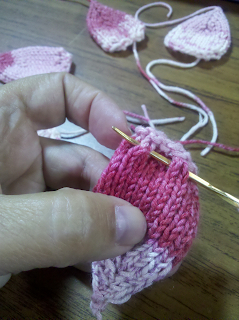 With flower WS facing, insert tapestry needle into first 4" tail, fold petal over and sew into center. 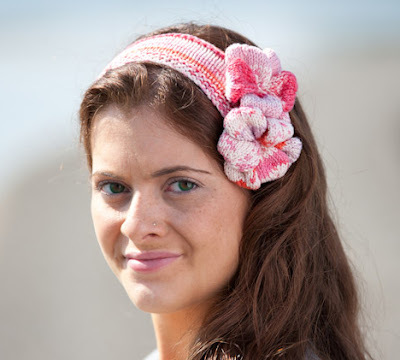 This is such a cute idea for all kinds of adornments, from headbands to bags to belts. You can attach these flowers to anything!